You’re going to remove your stomach? Why? How will you eat? But you are super healthy. Are there other options? These are some of the questions that my brother and I asked our mom when she told us that she would be removing her stomach because she tested positive for the CDH1 genetic mutation. Then came part two of the conversation, “you will have a 50% chance of inheriting this gene mutation as well”. It was the winter of 2009. Gastric cancer is the fifth leading cause of cancer worldwide and the third most common cause of death from cancer contributing to approximately 723,000 deaths annually. Although many cases of gastric cancer are sporadic, it has been established that approximately 1-3% of gastric cancer cases are related to inherited cancer syndromes. Included in this statistic is hereditary diffuse gastric cancer syndrome or CDH1 genetic mutation. Prior to 2009, my family didn’t even know what the CDH1 genetic mutation was or that hereditary diffuse gastric cancer even existed. Heck, I didn’t even know much about stomach cancer in general. We just knew that her dad passed away at 30 due to stomach cancer. He died just a few hours before she was born. While her mother was giving birth to her, her father was dying in that very same hospital. My mom never really got to know her father’s side of the family but in 2009, she received a phone call from a paternal relative explaining that she could be at risk for inheriting the same gene that lead to the stomach cancer that took her father. The thing about the CDH1 genetic mutation is that the cumulative risk for developing diffuse gastric cancer by 80 years of age is 70% (range 59-80%) for men and 56% (range 44-69%) for women. There is also a 42% chance of developing lobular breast cancer. The average age of onset is 38 years old with a range of 14-69 years old. Diffuse gastric cancer is very difficult to catch at its early stages as finding a rogue cell is like finding a needle in a haystack. If you test positive for the mutation, doctors recommend you have your stomach removed prophylactically. That’s right, you remove your healthy stomach without knowing you have cancer but knowing you have a high risk of getting it. Crazy, right? In the fall of 2013, I decided to be tested for the CDH1 mutation. And you probably guessed it, I inherited the gene. I was 29 years old. I had already decided I would be removing my stomach should I test positive. In the spring of 2014, I had a total gastrectomy at the age of 29. On my pathology report, I had 18 spots of early stage gastric cancer. Some people may think that being diagnosed with a gene that puts you at such high risk for cancer is a terrible thing, but I have always viewed it on the lighter side. I have been given the opportunity to make choices. 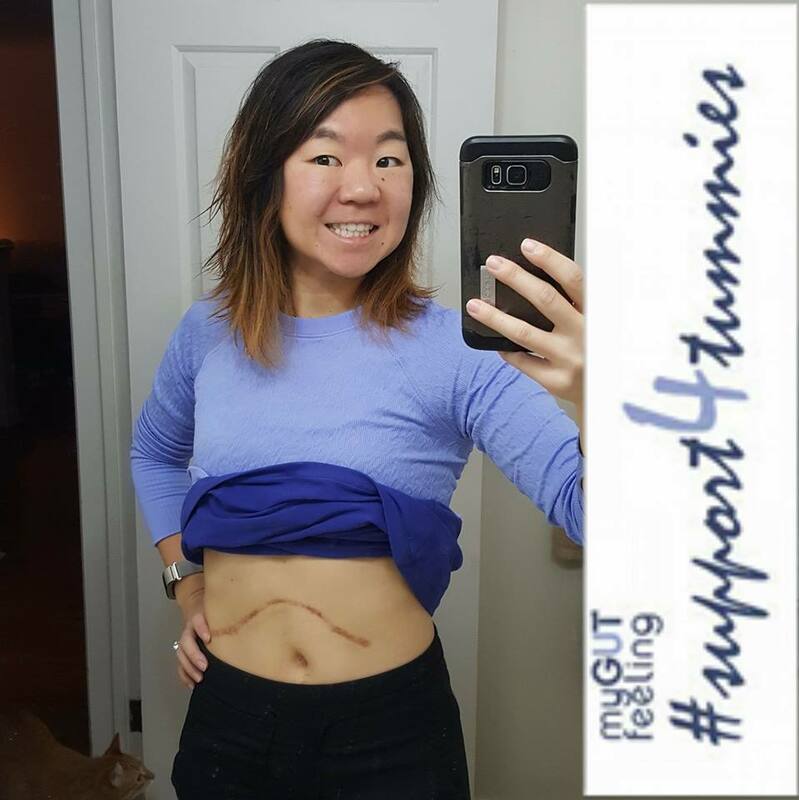 I began blogging as a way to keep my family in the loop; however, after many people asking to share my story, I now blog to raise awareness about living life without a stomach and with the CDH1 genetic mutation. Rachel made the difficult choice to have her stomach removed prophylactically after testing positive for the CDH1 gene mutation. The CDH1 mutation would put her at great risk of developing stomach cancer, a disease that had killed her grandfather at a young age. After the surgery it was discovered that she already had 18 spots of early gastric cancer. "Hereditary diffuse gastric cancer: updated clinical guidelines - NCBI." https://www.ncbi.nlm.nih.gov/pubmed/25979631. Accessed 30 Dec. 2017.